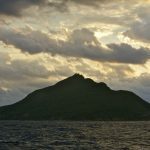 Tabletop Exercise Pacific Trident II was the second Sasakawa USA tabletop exercise (TTX) exploring trilateral cooperation mechanisms between the United States, Japan, and South Korea in the context of a crisis in North Korea. 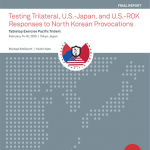 This report summarizes the exercise, its policy-level insights, and its final recommendations to policymakers in the United States, ROK, and Japan. Tabletop Exercise Pacific Trident explored trilateral, U.S.-Japan, and U.S.-Republic of Korea (ROK) responses to unexpected events and deliberate North Korean provocations. 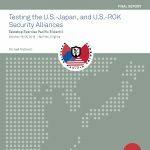 This report summarizes the exercise, its policy-level insights, and its final recommendations to policymakers in the United States, ROK, and Japan. 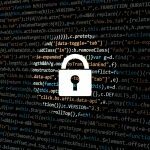 Sasakawa USA released a report in English and Japanese on November 30 about its recent “tabletop exercise” in Tokyo, which simulated a major cyberattack during the 2019 World Rugby Cup to be hosted in Japan. Sasakawa USA held a tabletop exercise (TTX) at the Lockheed Martin Center for Innovation (“The Lighthouse” in Suffolk, Virginia) to explore crises between Japan and China over the Senkakus. Former officials and experienced analysts participated in the game teams. This report summarizes the findings and scenarios explored in this exercise.